NH44, that runs through Srinagar to Kanyakumari, is the longest running National Highway. This route not just takes you from North to the South of the country, but offers you a variety of cuisines as well. There have many NH food fests in the city, but not on NH44. Thata��s why the same is being held at Kanak, Trident. The dishes on the menu are as varied as the states the highway crosses through. For example, in the starters we really loved the fried snack Aloo Dabara which is quite popular in Jammu. Informs chef Manik who has curated the menu, a�?People know a lot about other dishes. But this food item wasna��t much heard of. Thata��s why we included it in the menu.a�? 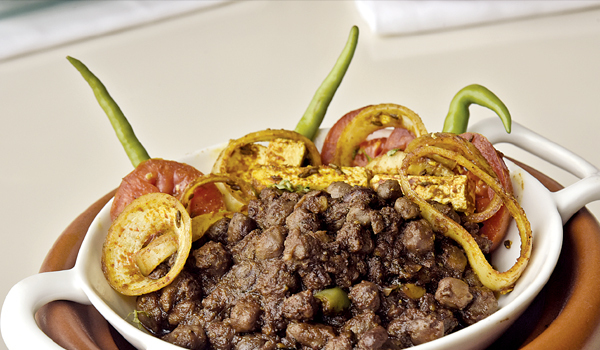 Dabara is best relished with a chutney of pomegranate, tamarind, onions and green chillies. Langarwali Daal was another delight cooked almost the way you get at langars. Pindi Chhole from Punjab was quite a welcome change from the usual Butter Chicken that is usually associated with the region. Other than the usual Dhaba Gosht and Talwa Gosht we recommend Zimkand Ke Kofte. The dish is made from potatoes and yams stuffed with crunchy nuts and mint. The taste is brilliant when you savour it with roti. But it was the Nariyal Payasam which was the star dish.